As everyone knows, in the center of Manhattan two gleaming towers used to soar into the deep blue sky, glistening in the sun. Then one day, they were gone. The twin World Trade Center towers used to house a huge mall full of restaurants and shops on the Concourse Level, which used to be New York’s largest underground shopping mall. It also used to have a hotel, and in the floors above, businesses. If you took the express elevators, they would whisk you up to the 107th floor to the observatory in a dizzying 58 seconds! Once there you could go even further up to the 110th floor to the outdoor viewing platform for a spectacular view across the entire city and across to the state of New Jersey. There also used to be robot window watchers that zipped up and down the towers skimming their surface, washing the windows of five floors in one minute. It was a tourist destination as well as home to thousands of daily workers and visitors. Although today it is gone, Ground Zero has taken its place as a memorial that draws visitors from all corners of the globe. Today you can visit the memorial to 9/11 at Ground Zero and walk around the fountain that is located in the footprint of the former buildings. The first thing you will notice is the sound. The huge fountain blocks out all sound other than the sound of rushing water, causing a deeply peaceful and reflective environment. 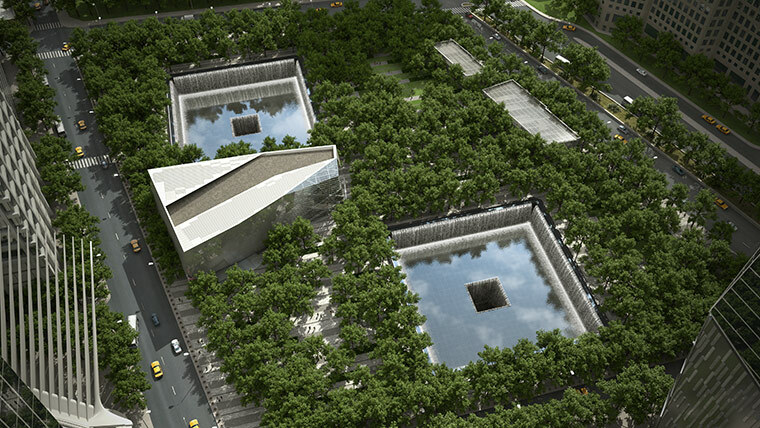 Surrounding the fountain is a wall of stone where the names of all the people who lost their lives on 9/11 are carved. It is actually quite a beautiful place to visit, especially exquisite at night when it is all lit up. Until the entire memorial is finished, a reservation system is in place which you must use to secure a visitor pass. 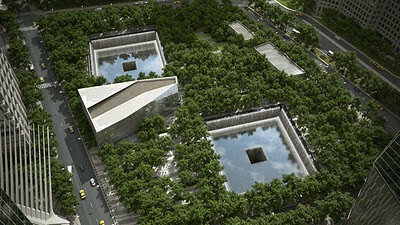 To get your pass quickly, order it online at the web site for the 9/11 Memorial before arriving in New York. You can also visit the 9/11 Visitor Center on nearby West Street, without reservations, for a full pictorial account of the events of that day and for an opportunity to read letters and view mementos. If you were in New York City on 9/11, you also have a chance to record your memory of 9/11 in the recording booth in the 9/11 Visitor Center. Or, conversely, hear the accounts of people there on that day in the Listening Station. Either way, the 9/11 Memorial Visitor Center is an interactive, riveting experience visitors to New York City are putting at the top of their list of top things they would like to do. Hillary is a blogger and travel writer. She likes to blog about travelling around America, exploring her nation's past, although most of the time she only gets to write about cheap motels and cheap holidays.